Boys can dream, make, think, and do in our Innovation Lab. 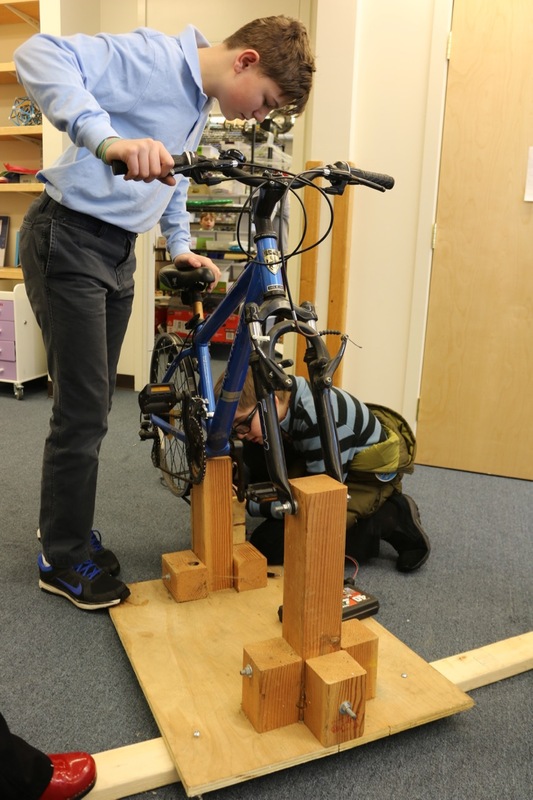 Through the powerful and iterative process of imagining a problem, designing solutions, repeatedly building and testing, and accomplishing a solution that is shared with a larger audience, boys develop creative confidence, persistence, and purpose. By teaching students the problem-solving tools and habits of mind to be change-makers and problem-identifiers, students build empathy while developing twenty first century skills. The Innovation Lab is used in a variety of ways to complement the strong academic and arts programs we already have. Three programs are highlighted in the pictures below: The IDEA Program, Design Thinking and Curriculum Integration, and Co-curricular Opportunities. 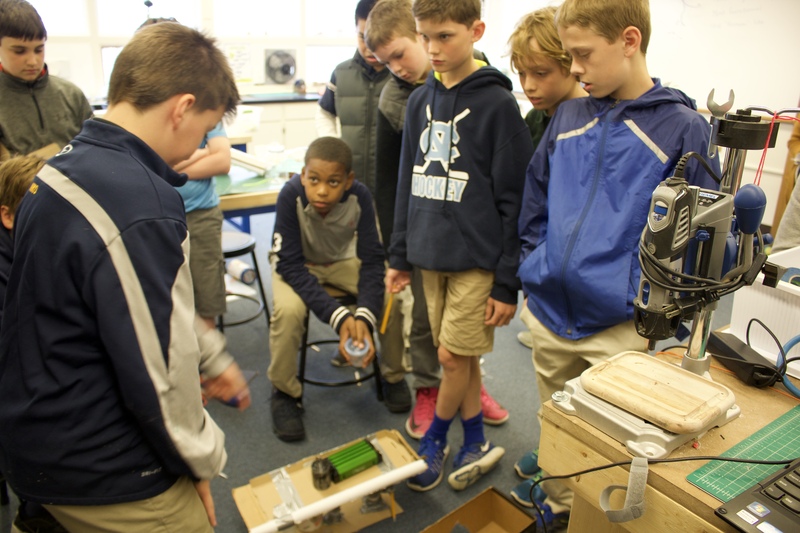 Imagine, Design, Engineer, Accomplish: Boys can approach the Innovation Lab team with an idea or a dream – and together they can work to make it happen. Teachers provide mentorship, materials, and organizational support. 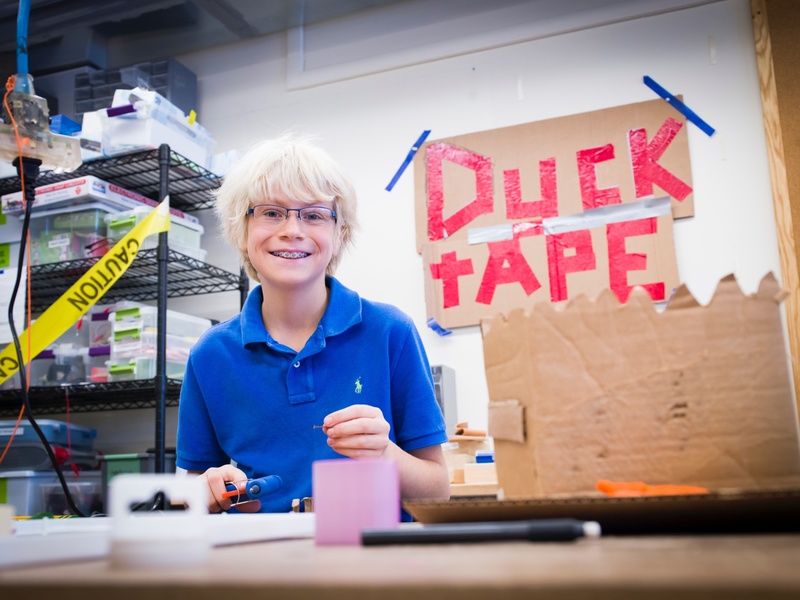 The students work independently (or with small groups of friends) to come up with innovative solutions to real-world problems, or simply to follow their own curiosity. Using design thinking, students become problem-identifiers, tackling real world problems through the design process to engineer solutions that will be shared with a larger audience. Working with faculty to integrate the design thinking process into lessons from traditional Fenn classes is another goal of the Innovation Lab. This space allows faculty to bring their classes to a space with specialized equipment, materials, and staff able to inspire and support hands-on projects. 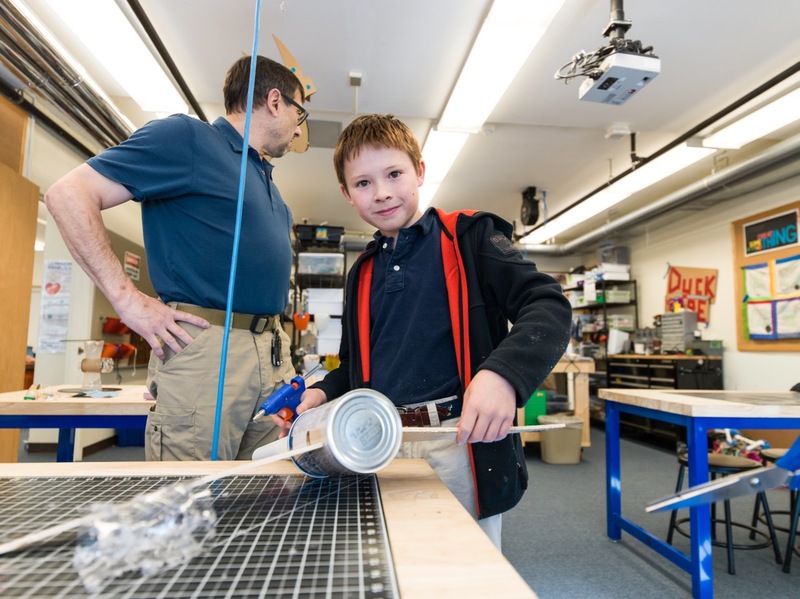 Afterschool classes are held in this space, providing an opportunity for students to learn how to utilize the machinery and tools that the Innovation Lab offers to tackle design and engineering challenges or bring creative ideas to life. If you are interested in learning more about the Innovation Lab and Design Thinking at Fenn, please contact David Saunders, Fenn's Director of Innovation.